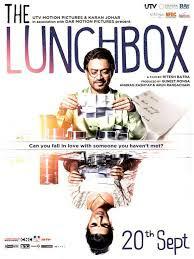 The Lunchbox was a being very hyped for the last two days since it released .And it’s been quite an interesting year for Indian cinema with movies like Bhaag milkha Bhaag ,ship of Theseus and now the Lunchbox ,so today we go and see the movie sitting on the 3rd row corner seat from the screen spending Rs 330 and I have to say it was all worth it. And how the story evolves when they start writing “Note” and all these to execute and getting just everything right . The other character “nawaz siddiqui “got life to the movie The movie could have become monotonous and the change in his daily events back from work also makes the movie interesting. The movie also showed how the life of dabbawalla in Mumbai is . Hope you all enjoy the movie .